London is a couple of hours on the train for me which can be a little bit far to go to for an evening event and I always have that fight between the ‘fear of missing out’ and the thought of a really long journey whenever I’m invited to any. 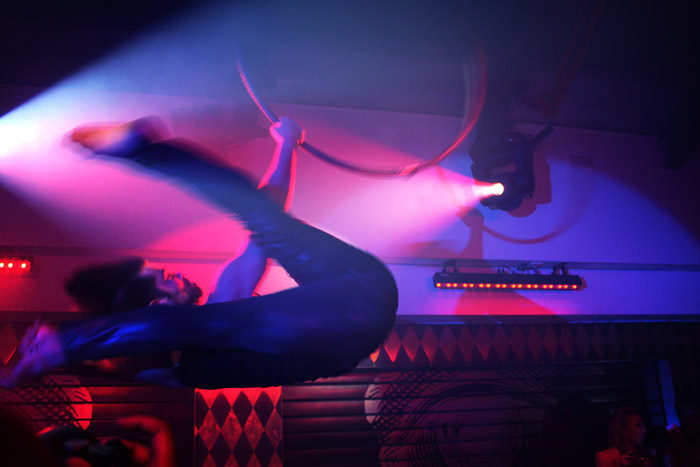 With this in mind, you can imagine my excitement when, upon being invited to the most eagerly-anticipated blogger event of the year – the AX Paris Circus event – I looked in my diary and discovered I was already in London. I was away on a course with work from Monday until Wednesday so it was easy for me stay a few extra hours in London for the benefit of seeing some of my favourite blogger-babes and getting a sneak peek at the new AX Paris advert as well as some items from their S/S range. 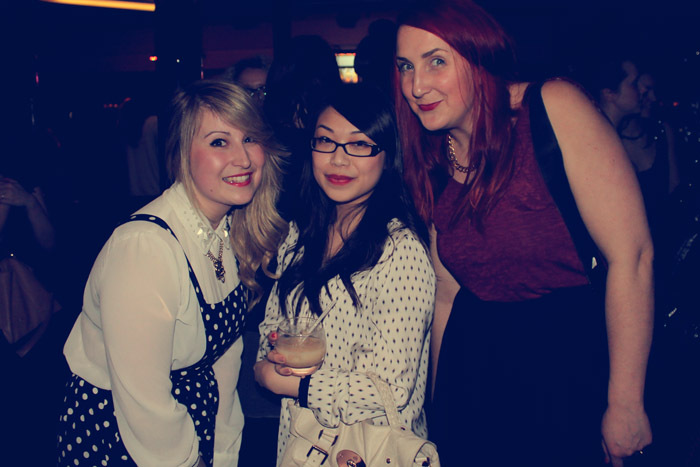 I met up with Sarah, Chloe and Sarah in Covent Garden and we all went to the Fossil Press Day first, which I’ll talk about in a later post. At this point I had checked out of my hotel, and so, laden with a suitcase, two bags (yes it was a three day trip, please don’t judge) and tottering up cobbled side-streets in platform boots, with the aid of Google Maps we located the venue and arrived at the event. When we arrived we all had our photos taken in front of the AX Paris stand and were handed cocktails (if only arriving everywhere happened in a flurry of punch-laden silver trays and flash bulbs eh?) 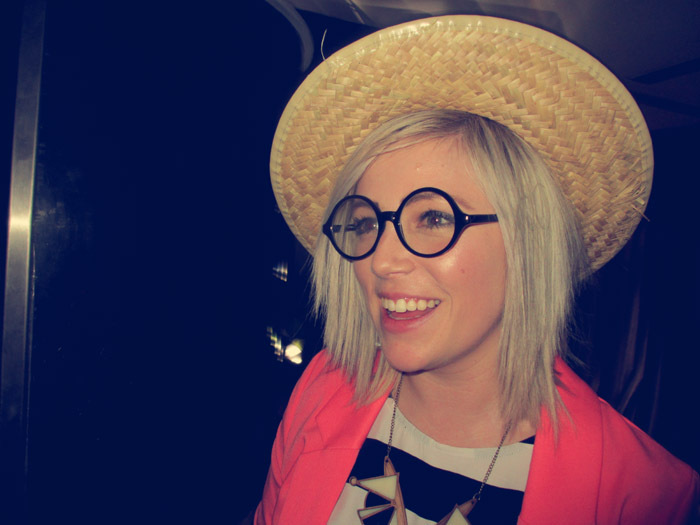 I can’t say this is the nicest photo of me ever taken (flash just makes me look terrible #shinyface) but there we go! 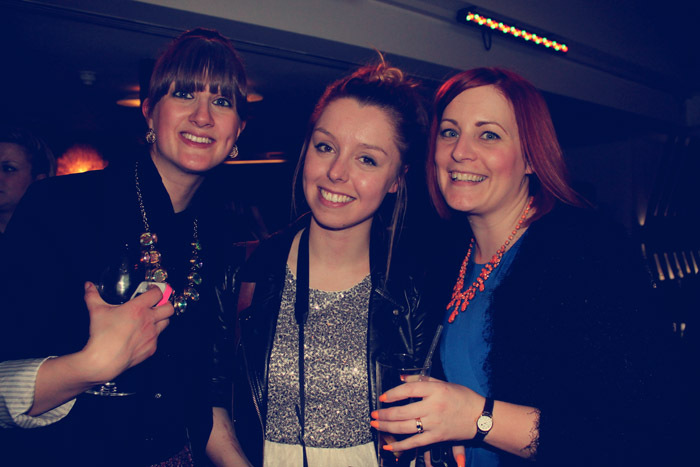 After a quick circuit of the club we strategically positioned ourselves in a corner so we could spot all our bloggy lady faves and also be within arms reach of the sweep of the canapé trays. 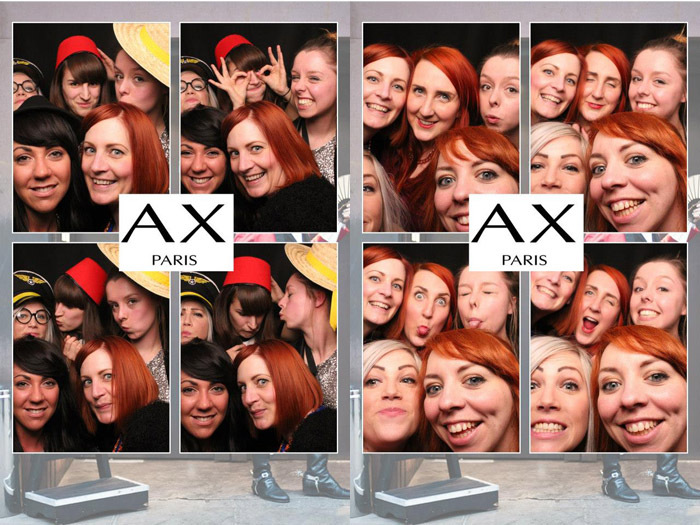 We also of course hotfooted it to the photobooth so we could play ‘how many bloggers can you fit in a photobooth’. For some reason wherever I sat I was destined to be playing ‘is my face going to be in it?’ – my favourites being the first photos on both prints! As we came out of the photobooth the lights dimmed and the first of the performances started. 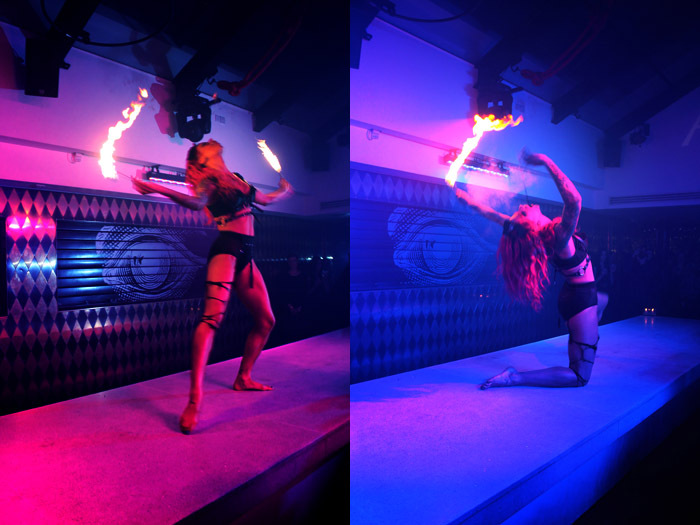 I must admit I have never been anywhere like Circus and standing with a cocktail in your hand whilst watching a scantily-clad lady cavort along a stage and breathe fire is quite a unique experience. After the performance we took the opportunity to peruse the racks at the front of the event, which were full of new season AX Paris items. I haven’t bought anything from AX Paris in a while and I think we were all really pleasantly surprised by the design and quality of their newest items, which feature brightly coloured skater dresses, paisley prints, scuba peplums and dresses and some beautiful lace detail dresses of which this one was my favourite. We mentally bookmarked several things to buy when we got back home! We were all excited to see the screening of the AX Paris television advert, which features colourful items from their new range amidst puffs of coloured smoke, as you can see from the below. After the advert there were more performances. This man who swung from this hoop as well as ropes later on in the evening was particularly impressive. As it was dark inside the venue and the performances were so fast-paced it was quite difficult to get any good photos, but the snap of the night has to be this capture which led to myself and all the other bloggers in the vicinity descending into raucous laughter when it popped up on my preview screen. As well as all of the amazing performances, the advert and the beautiful clothes, getting to see some faces I hadn’t seen in a while was an absolute treat. So much awesome all in one place! 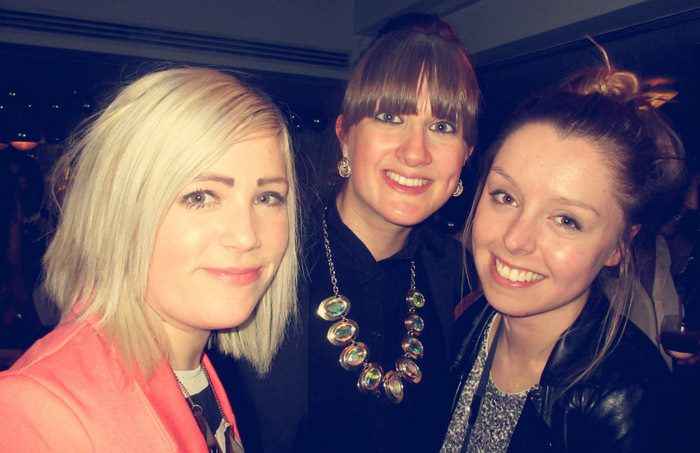 On the way out we grabbed our goodie bags (which were awesome – there was a Ryan Gosling colouring book, nuff said!) and headed out into the rain to find the tube station and then for me to endure the two-hour train journey back home. 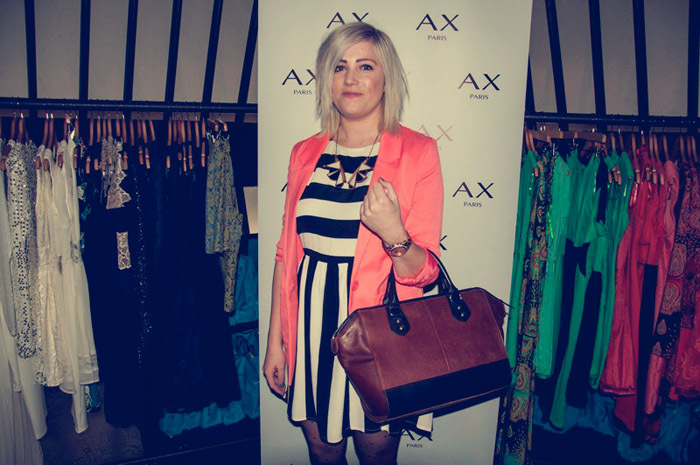 An amazing night – thankyou to etail and AX Paris for their hard work and for inviting me.